Photopolymer was used for years as the material of choice for printing press plates. When ADA published their braille and tactile signage requirements photopolymer was the logical material to use. 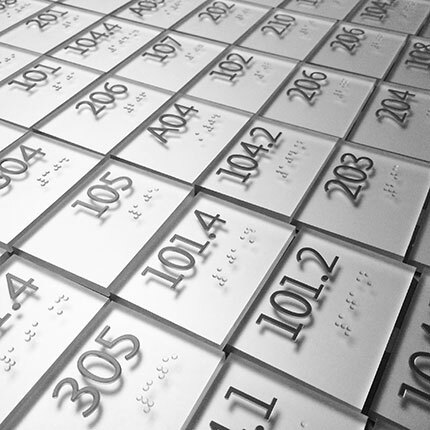 The characters and pictograms remained raised 1/32″ above the background after plate processing was complete. 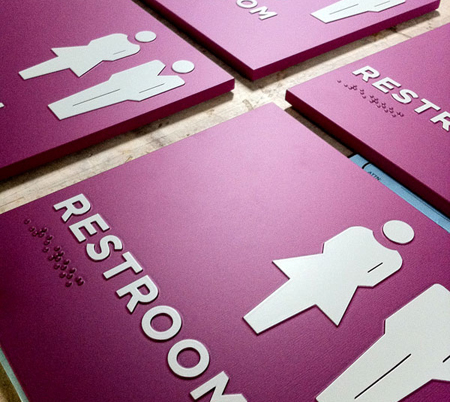 By laminating the photopolymer to a suitable, thicker substrate, then painting the background, text and edges in highly contrasting and distinctive colors, a beautiful, ADA compliant sign can be created.